This necklace has a large pendant that measures 2 x 2 7/8". It is copper to which a blue alcohol ink has been applied, then sealed with several layers of clear acrylic. The main stone is Jasper that is bezel set . It is a 30 x 22 mm oval. 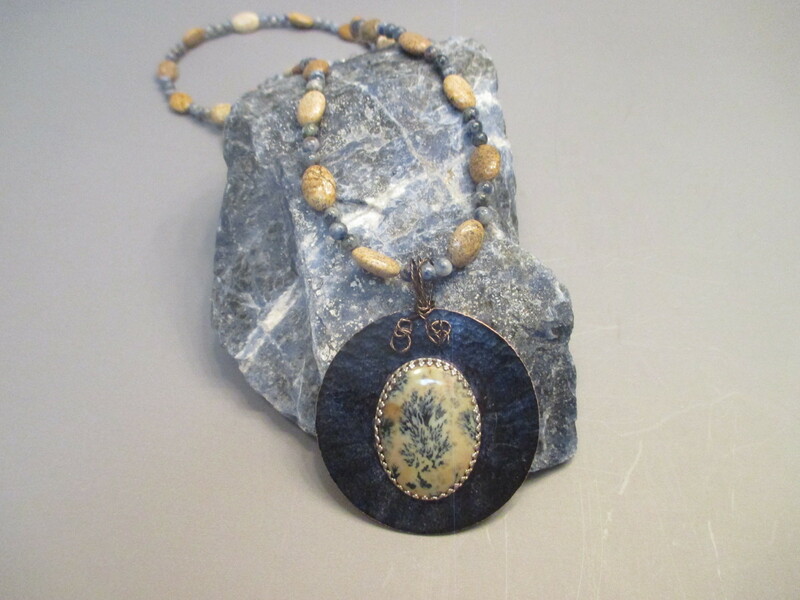 The beaded necklace features Picture Jasper and Dumortierite. Necklace is about 26" long with a lobster style clasp.